Save time and download 10,000 quality fonts with one click. The Ultimate Font Download is a collection of 10,000 quality fonts from award winning font designers. 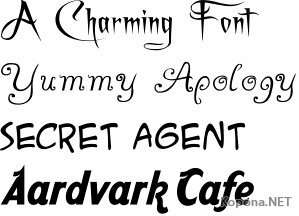 The Ultimate Font Download is licensed for commercial use and contains thousands of exclusive fonts licensed directly from font designers. Compatible with Windows/Macintosh. The fonts are ready to download in one single file for broadband users or 10 smaller files for dial-up users. Get instant and unlimited access to 10,000 fonts today. Было бы удобнее отдельно выложить шрифты с поддержкой и без поддержки кириллицы. Это релиз от группы UNIQUE, а не мой, который сперт с сайта ultimatefontdownload.com. пасиб, хорошему дизайнеру просмотреть и 10 тыс. - не проблема!